Another holiday season is upon us. 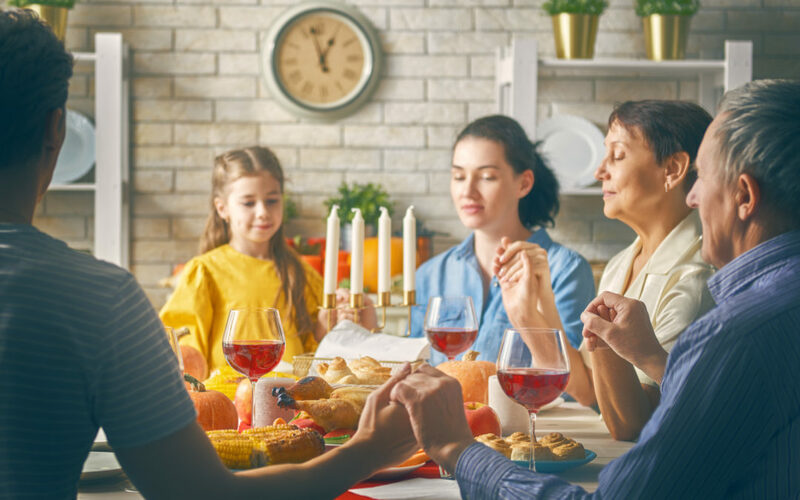 The promise of gathering your family members under one roof can require lots of prepping and planning. If you will have multi-generations present, preparation can prove to me a bit trickier. Here are three holidays hurdles you can prepare for ahead of time to ensure a positive experience. Swapping high saturated fats (butter) with healthier fats (olive oil) for diabetics. Offering fresh fruit and grilled veggie options for vegan and vegetarians. Making sure there are side dishes without cheese or nuts to cater to those with food allergies. For your elderly guests, opt for foods that are easily swallowed and processed. For example, creamed potatoes over mashed potatoes. If you have guests that are staying the night, you want to make your guests feel comfortable when they visit by knocking it out of the park with your sleeping arrangements. If you have guests that are wheelchair bound, it may be best to put them in rooms that are easily accessible and close to a bathroom. Families with small children, may want to be in rooms where noise will not disrupt those around them. Teenagers may be more apt to sleep on sofas and blow-up beds. For all guests, making sure that you have adequate towels and linens laid out ahead of time can be a big help. Play a board game like monopoly or balderdash. If you have members that are too young to play alone, they could partner up with an older family member. Decorate cookies together. Putting your creative skills to work on delectable bites can be exciting. Take a big family photo. It’s easy to take these moments for granted. Chronicle them with a photograph. Have older generations share stories about how life was different for them in comparison to now. Read a short book or story aloud as a group and pass around to different readers each page. Pull out the scrapbooks to create a scrapbook together. Pull out the photos to take a trip down memory lane. Watch a movie together that highlights another family during the holidays. Create new traditions that can be passed down through the generations. Be sure to continue to traditions of old. Every family is different and unique. Find out what makes your family special this year by considering the whole family and making sure that you have a memorable time together.